Up until about four years ago, I swore I would never go to the e-reader. I loved the weight of a book in my hands, the sound of cracking new pages, and the crisp feel of the paper. I loved turning the corners down to mark my place, just like my Great uncle did whenever he was reading his Louis L'Amour books. But about four years ago, I was doing some emotional shopping (the worst kind), and and I found myself buying a Nook on a whim. 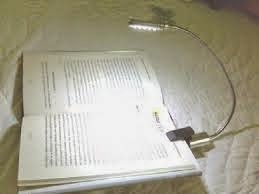 I liked being able to read in bed without a bedside light, and I liked the ease of borrowing e-books from the library. I began buying Nook books, and found Free Nook Fridays, and learned how to search for the sale books. I was pleased because although my reading volume went up, my spending was going down. Then two years ago, I got my first iPad. And discovered the Kindle app. It was so easy! I could borrow books from the library without the pesky usb cable the Nook required, and downloading a book from Amazon just seemed so much easier than the Nook. Amazon even emailed me daily list of books on sale matched to my reading preferences. I sent my old Nook off to my sister, and got hooked on the Kindle app. I was spending even less! So life was feeling pretty good. I was hooked on the e-reader, and went from buying 4-6 physical books a month to 4 physical books a year. But I was still reading my favorite authors, and even finding some new ones via Goodreads and Amazon reviews. Winning! The the Taylor Swift/Spotify scandal happened (read about it here). Taylor didn't feel she should "contribute my life's work to an experiment that I don't feel fairly compensates the writers, producers, artists, and creators of this music". Taylor Swift thinks she needs MORE money. Insert my eye roll here, and this Spotify subscriber went on about her day. Then Dave Grohl weighed in on the Swift/Spotify situation. ""You want people to f**king listen to your music? Give them your music. And then go play a show. They like hearing your music? They'll go see a show." 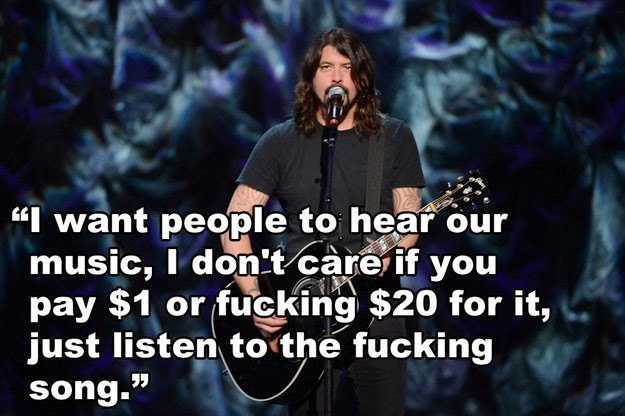 As usual, Grohl speaks the truth. Taylor Swift's Red tour grossed 150 million dollars last year. By now, you are probably wondering how my impulse Nook purchase led to an Kindle addiction, which led to an eye roll for Taylor Swift, which led to the gospel according to Dave Grohl, and where I am going with all of this. Welcome to the inner maze of my mind. As I was mulling over how bad Dave Grohl burned Taylor Swift, it occurred to me that there was another form of art that was also experiencing the effect of technology. The book. And the artist who is really getting screwed is the author. Writing my book blog and trying so many new authors via NetGalley has giving me a new appreciation of debut books and their authors. I began thinking if someone like me, a avid reader, a true bookworm, has cut back so much on her book purchases, I may actually be part of the change in author compensation that makes a difference in the ability of an author to eke out a living. 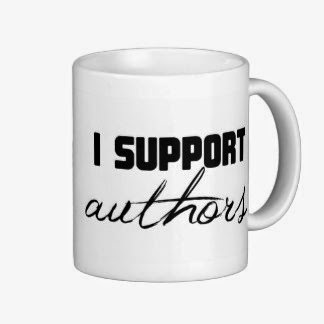 For every Stephen King, Sophie Kinsella or James Patterson, there are a multitude of newer authors out there that are very talented, but can't afford to write full time, or even find a publisher that is willing to take a financial chance on them, when profits get smaller and smaller. Even though Taylor Swift and Dave Grohl had to work to get their music out there, they have the opportunity to keep making money on an album by selling tickets and merchandise on their tours. An author doesn't have those extra income boosters. By this time, I had reached work, and if you have followed the twists and turns of my brain (congratulations! ), you know that I came the only conclusion that I could. I have an ethical responsibility to buy more physical books this year. I'm making my stand for the authors and breaking out my old book light. I feel like I'm a pioneer! I'm really making a sacrifice! I'm sure I may find out that my logic is totally flawed, and buying ebooks is better for the authors, but so far, Google is supporting my theory. What does everyone else think about the difference between e-books and physical books?